Can you believe Christmas is just 5 short weeks away? Yikes! Santa is probably getting his sleigh all tuned up and ready to roll. While browsing the aisles at my favorite thrift store, I found one of his "trade in models" and scooped it up for a song, transforming it into a great piece of home decor for the holidays. If you are looking for the perfect ribbon for your holiday crafting, may I suggest this luxurious and very versatile Black and White Houndstooth Plaid? It is sooo silky and easy to work with! And just look at those totes adorbs mini red pom poms that edge the sleigh! Santa's rig never looked more chic! 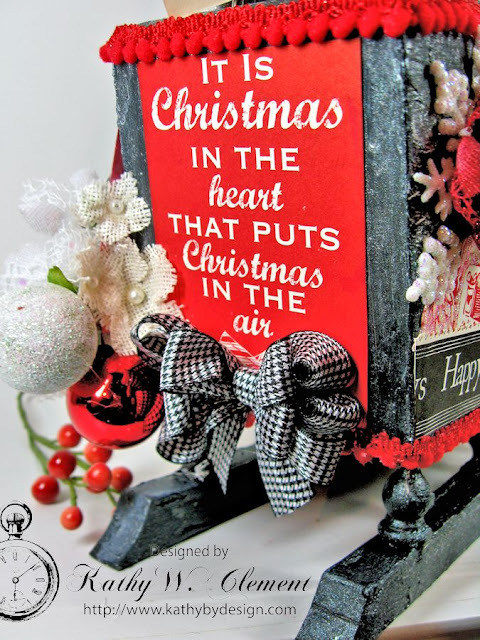 The papers are Canvas Corp Farmhouse Christmas. 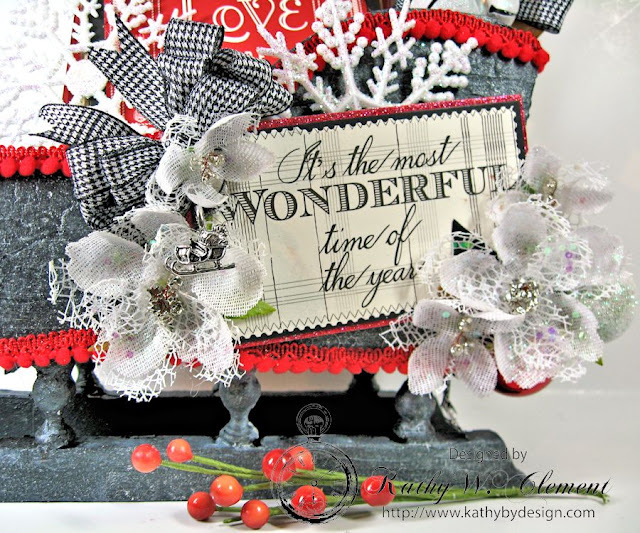 Another pouftacular holiday bow tied with my new ribbon crush and my Zutter Bow-it-All Tool! 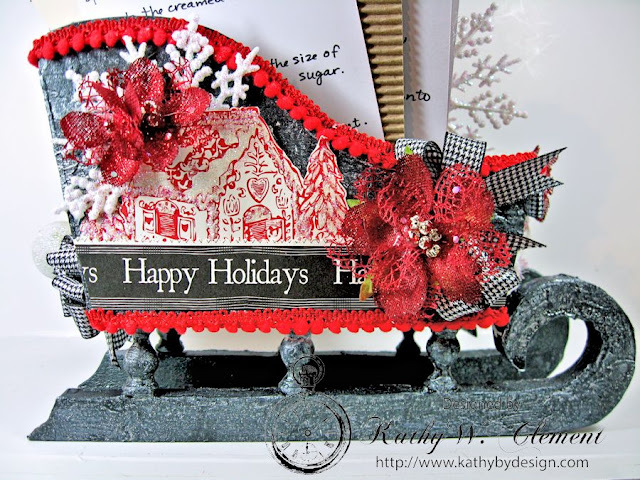 Glittering snowflakes, festive trim and a gingerbread house? It's beginning to look a lot like Christmas! I love adding a touch of White Iridescent Metallic String on top of my bows to add even more shine. 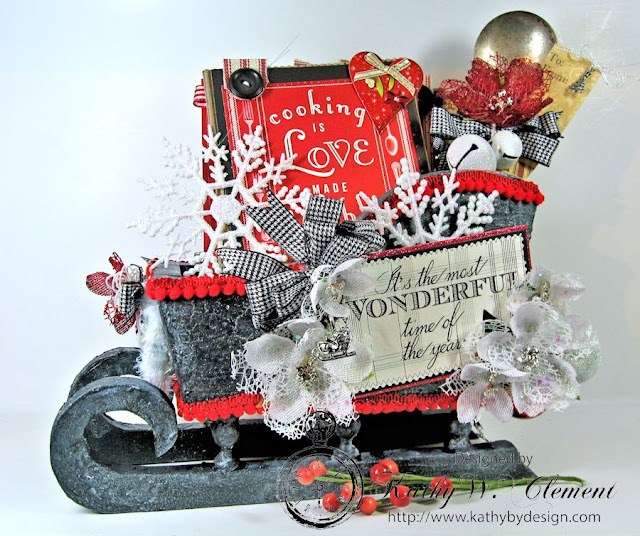 The sleigh is filled to the brim with cute recipe cards, all adorned with red gingham ribbon. I even tucked in a vintage silver spoon that I altered. How fun is that? 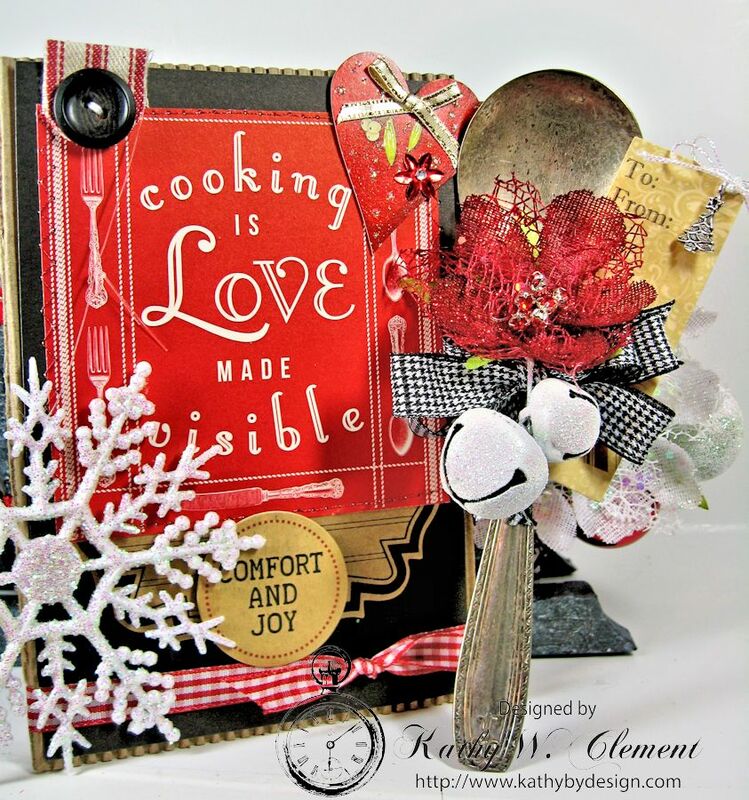 This will look great in my kitchen, and it's such a fun way to store holiday recipes. 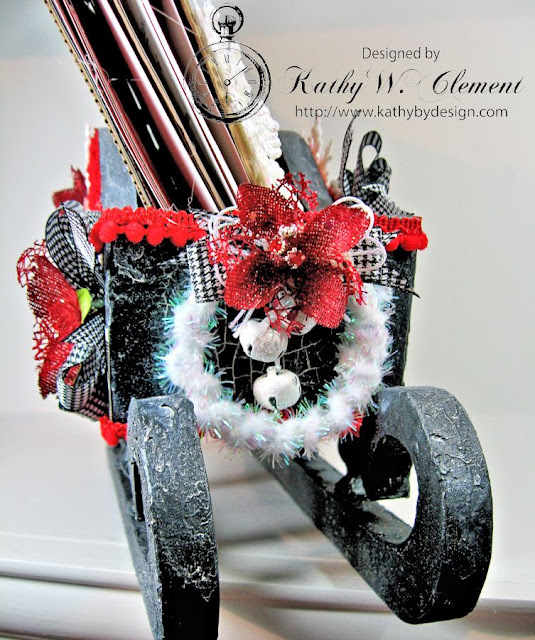 It's amazing what a little paint, glitter and fabulous ribbon can do to a beat up old sleigh, isn't it? So pretty and so creative you are too! This is one amazing project! I love every single detail! Awesome piece! Lovely gift. 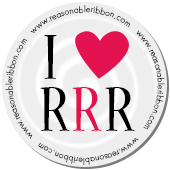 Perfect gift packing with ribbon excellent.